The US and Georgia have launched their biggest ever joint military exercises, as the Caucasus nation seeks to push its bid to join Nato. US Vice-President Mike Pence will visit this week and is expected to back the plan, which Russia strongly opposes. Georgia and Russia have had fractious relations over two breakaway republics and fought a brief war in 2008. 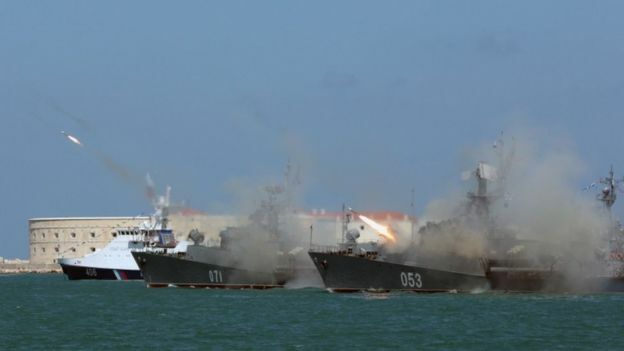 Russia staged its own show of force on Sunday with President Putin joining a naval display in St Petersburg. The US-Georgia military drills, dubbed Noble Partner, involve some 1,600 US and 800 Georgian troops. 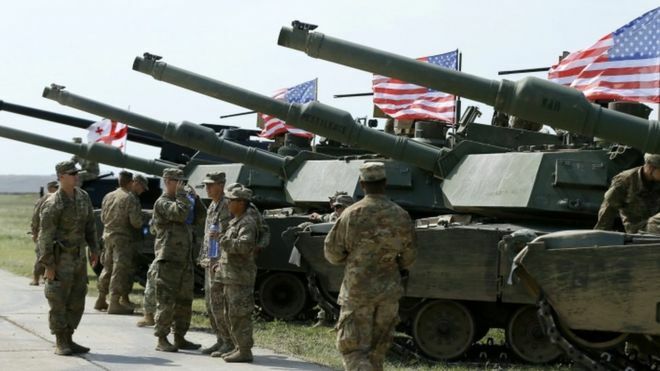 The US has also deployed M1A2 Abrams main battle tanks and M2 Bradley infantry vehicles for the exercises, which will go on until 12 August. A number of other nations, including the UK, are involved. Georgian Defence Minister Levan Izoria said the “unprecedented” exercises would “make clear the support for Georgia by the Nato member states, especially the US”. Although Georgia is not a member of Nato, it does voluntarily contribute to the Nato Response Force (NRF), the multinational force of land, air, navy and special operations units the alliance can deploy quickly when needed. The Russo-Georgian War in August 2008 led to Moscow occupying the Russian-backed self-proclaimed republics of South Ossetia and Abkhazia. Meanwhile on Sunday, President Vladimir Putin attended a show of might on Russia’s annual Navy Day. Some 50 warships and submarines were on displayed in the Gulf of Finland and on the Neva river around St Petersburg. 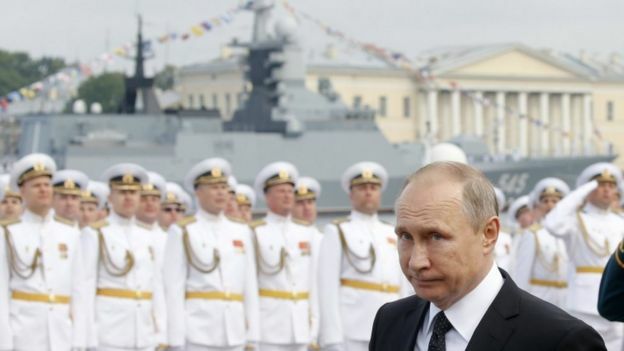 There were other displays around the country, and Russia also showed off its naval hardware at its Syrian base of Tartus.